If you could see into the future, would you look? I started writing this book a LONG time ago, but Orion (my publisher in the UK) and I both decided that we should bring it out after I had finished my Philippa Fisher series. So I waited patiently, and its time finally came! The book is about a girl called Jenni, who finds that she has lost a year of her life. She doesn't know how it's happened, and she is horrified to discover that some terrible things have taken place in the year that she's lost. Jenni has to try to figure out how she slipped forward in time - and more importantly, if she can go back in time and change things to stop a terrible tragedy from happening. 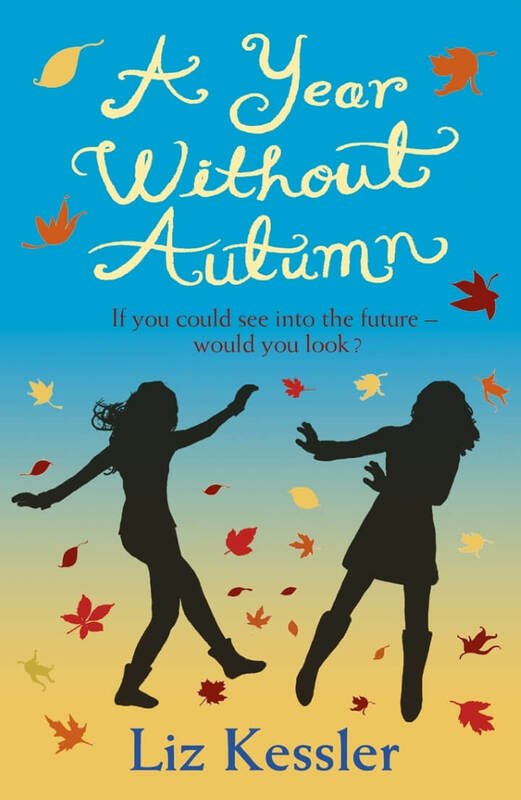 A Year Without Autumn is a stand alone book, which means that it isn't part of any series. But it is the first of three books which I'm writing that all deal in some way with time travel. I hope you like it!!! It was also my first book to be shortlisted for a major prize: the Blue Peter Book of the Year. Jenni Green is on holiday with her best friend, Autumn when she suddenly finds she’s been transported exactly one year forward in time. Where did the year go, what has happened in between – and will Jenni ever find her way back?